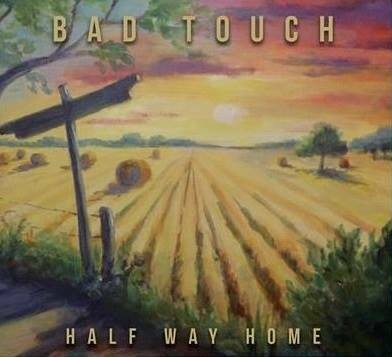 Norfolk based Bad Touch have announced their new album will be entitled ‘Half Way Home’ and have given a teaser of it by also revealing the album cover. The album is set for release on 7th April, but it will be available to buy as a pre-release at all live shows when the band are supporting The Answer on their Raise A Little Hell UK Tour, which starts in March. Recorded at Foel Studios in Powys, Wales in January, ‘Half Way Home’ will be a much anticipated album from the band, which has seen their profile grow considerably since winning the Exposure Music Award 2012 for Best Live Act, as well as also winning the Marshall Ultimate Band Contest in 2013, gaining a spot at the Download Festival in 2014.